An attractive alternative to standard residential doors, composite doors are available in a variety of colours and finishes. Designed to have similar aesthetics to that of a wooden door, composite doors allow you to benefit from an innovative design as well as a high level of security. Robust and long lasting, these doors are highly resistant to weathering and seasonal changes. Manufactured from a combination of materials, composite doors are extremely versatile – offering both durability and protection. These doors are extremely energy efficient and will provide your property with effective insulation, helping to minimise your fuel costs. Unlike traditional wooden doors, Composite doors will never discolour or fade – making them a popular front door option amongst many homeowners. 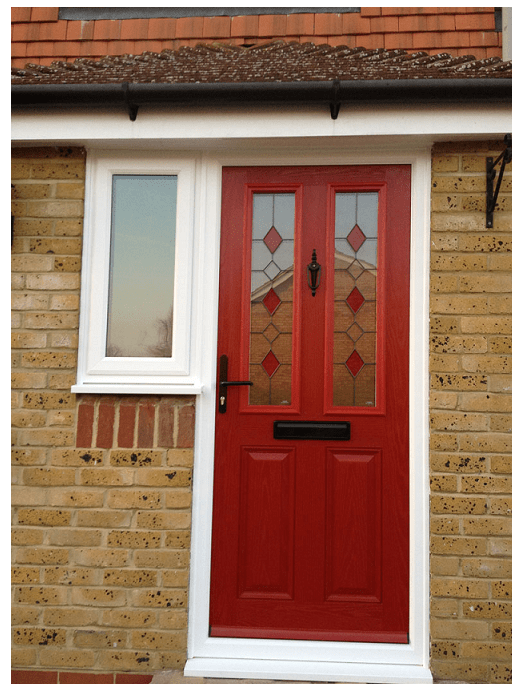 Why Choose Our Composite Doors Kent? The ATK Locking Cylinders are the highest security locks on the market! These superior locking systems are included as standard, making our composite doors the safest doors around! Choose SecureStyle composite doors for your Kent home today. 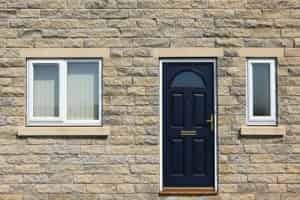 The majority of homeowners have experience of UPVC doors but have also experienced a variety of problems such as adjustments in the framework as the weather changes temperature. You won’t find this at Secure Style. With our composite doors the choice of colours and designs is endless as well as an increase in the safety of your home. Plastic can be susceptible to being easily breakable, whereas a solid composite door makes for a highly safe entrance door option. Composite doors are an elegant and strong front door choice that looks superb on both traditional properties or more contemporary homes. Tailor made to work perfectly with your current home, our composite doors make a stunning addition your neighbours will be envious of. Composite stable doors are available, which make excellent back doors. Perfect for increasing ventilation without affecting security levels as the top and bottom sections of the door can move independently. Combining contemporary performance with traditional aesthetics. These doors are built from a combination of materials which makes them extremely strong, materials such as UPVC, insulating foam and glass reinforced plastic are combining to make these doors highly resistant to weathering and seasonal changes. An impressive structure, composite doors will not discolour, fade or warp compared to their timber counterparts. Their insulating foam will provide a higher degree of heat insulation which will help lower your energy bills and add value to your property. Their timeless design will complement your home with their exceptional range of composite doors that replicate a classic wooden product. Almost twice as thick as a standard UPVC door you are guaranteed improved thermal insulation and hightened security levels. This will help reduce your energy bills and add value to your property. Choosing the right composite door is an important task, but there’s still the add-ons to pick afterwards that can really make your new composite door truly beautiful. Door handle, knockers and letter boxes can all provide attractive finishing touches to your composite door. It’s the little things that can really make the difference. Glass is also something which you should take into consideration. 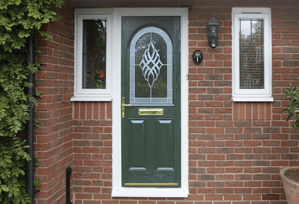 Patterned, stained glass, Georgian or leaded are all beautiful options, suitable to your new composite door. Secure Style offer a free online quote for our tailor made composite doors. Generating your non obligation quote couldn’t be easier. Visit our online quote page, complete the short form and click go. You’ll receive your free quote instantly.